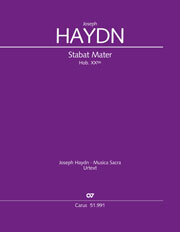 Joseph Haydn’s Stabat Mater, written in 1767, was the first church work the composer wrote after entering the service of Prince Esterházy in Eisenstadt. 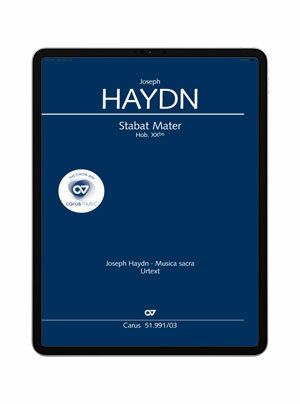 Unlike almost all his other sacred works, it soon became well-known and established Haydn’s reputation as the leading vocal composer of his day. The piece contains a wealth of variety which presents the choir with various different challenges: in the first movement the sequences of eighth notes need to be sung both legatissimo and with rhythmic precision, and in the final chorus the long melismas can only develop into a "heavenly" sound if they are well rehearsed. 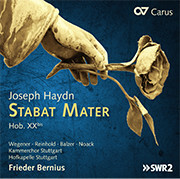 With Haydn’s Stabat Mater the coach offers support through a sung part instead of from the piano. The coach is based on individual recorded parts from the Kammerchor Stuttgart, making practising even more enjoyable!